Celtic bracelets There are 14 products. Medieval Bracelet, 5.5 cms wide. 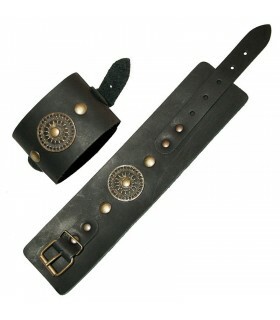 Bracelet made of cowhide of about 2 mm thick and adjustable by a belt with metal ornaments. Only includes 1 unit.Width bracelet 5.5 centimeters. Handmade genuine leather and top quality. Bracelet secured with a cord made of leather about 3.5 mm thick. Measures arm; Doll 20 Cnt. 25 Cent. Antebrado 23 Cent. 30 Cent. Bracelet length 19 Cent. Price per couple. 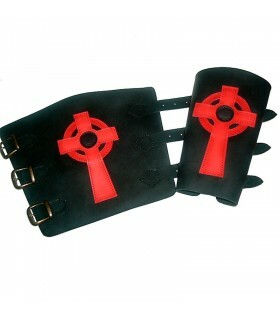 Bracelets in black leather with red Celtic cross. It Includes 2 units. 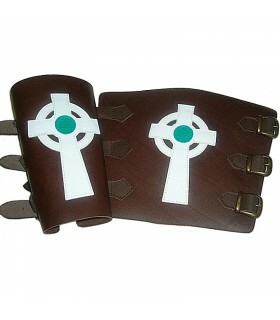 Brown leather bracelets with the Celtic cross on white. It Includes 2 units. Leather bracelet made of 3.5 mm thick. Possibility of realizing them in black, light brown, dark green red brown. Measures arm; Doll 20 Cnt. 25 Cent. Antebrado 23 Cent. 30 Cent. 24 Cent bracelet length. Price per couple. Bracelet secured with a cord made of leather about 3.5 mm thick. Possibility of realizing them in black, light brown, dark green red brown. Measures arm; Doll 20 Cnt. 25 Cent. Antebrado 23 Cent. 30 Cent. Bracelet length 19 Cent. Price per couple. Possibility of special measures, contact us. Leather bracelet made of 3.5 mm thick. Measures arm; Doll 20 Cnt. 25 Cent. Antebrado 23 Cent. 30 Cent. 24 Cent bracelet length. It is set with leather cord Price per couple. 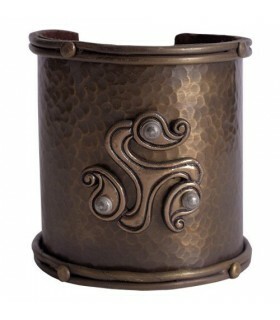 Herdis Celtic bracelet made of suede decorated with stitching and a traditional trisquel Celtic. Adjustable with leather cord. As the cuff, 28.5 centimeters long. Article crafted using the highest quality leather. Leather bracelets made of 2mm. thick and trimmed. Adjustable by straps. It includes pair of bracelets. Measures arm; Doll 20 Cnt. 25 Cent. Antebrado 23 Cent. 35 Cent. Bracelet length 22 Cent. 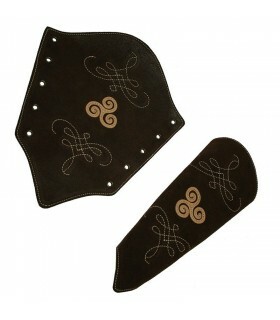 Pair of Celtic bracelets made of premium leather with engraved trisquel. They are fastened by straps and buckle. Price per couple.Wrist: 20-25 cms. 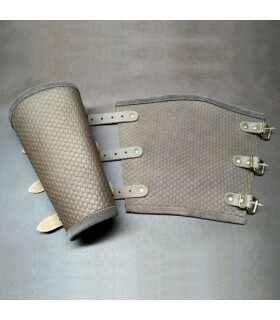 li>Forearm: 23-30 cms. 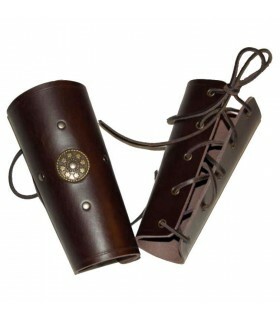 Medieval bracelets made of thick leather, 2 mm. thickness. 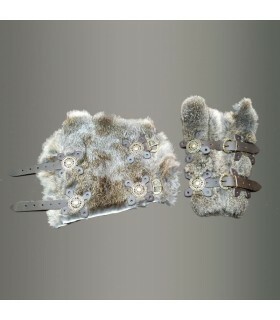 with scale motifs and fur trimmed. Adjustable by straps.Wrist: 20-25 cms. 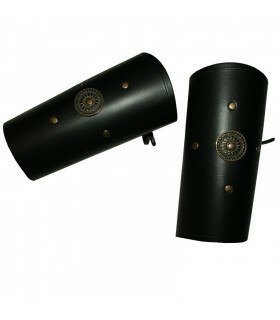 li>Forearm: 23-35 cms.Length: 22 cms. 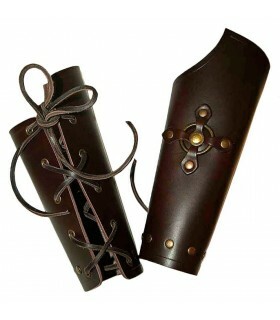 Bracelets of leather flanges shores. 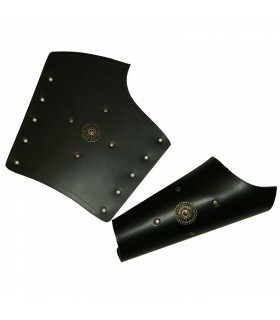 They are perfect for a wide variety of medieval costumes of the greeks, romans, vikings and medieval. Includes the couple.